Family holidays are great times to spend that quality time that you can’t always put aside during the daily routine of life. Between work and home, with so many tasks to toggle, it’s not easy to get the family to unite for some special time together. But then comes around vacation time. It may be the only time to enjoy some fun and adventure. Families with children young and older, going on vacation can also be exhausting… unless the kids have activities they can relate to. Parents need their space, but the kids need theirs too. 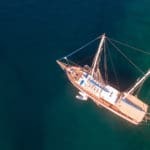 So what better way than hiring a private yacht charter in Turkey to explore interesting places, discover ancient cities and ruins, and have a terrific time in the largest swimming pool ever – the sea! 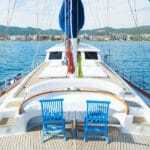 It’s a crewed yacht charter on board a Turkish boat called a gulet. While there are dozens of alluring and exciting destinations to explore. 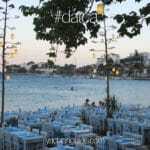 One such itinerary for these types of holidays where it may keep the kids entertained is in the Gulf of Fethiye. Loaded with historical sites, turquoise waters with plenty of water sports activities and beautiful islands and beaches, this region are excellent for families with children. You can embark from the spectacular harbour city of Marmaris and one of the lushest green ports along the Turkish coast. 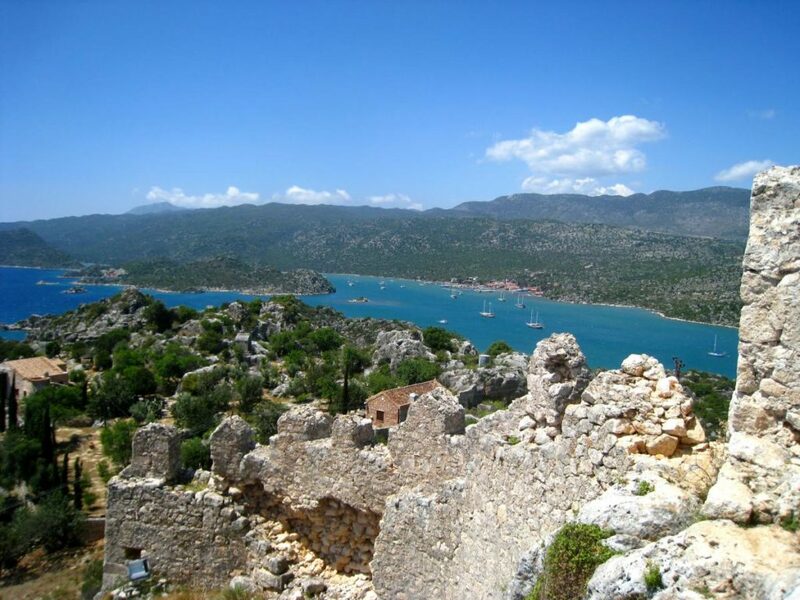 Alternatively, you could opt for a shorter transfer time from the airport in Gocek or Fethiye. Either embark from Gocek which offers a 20-minute drive from the Dalaman airport to the harbour, or Fethiye which is a mere 40 minute transfer time to the port. From this point are some fascinating places that the whole family can enjoy. 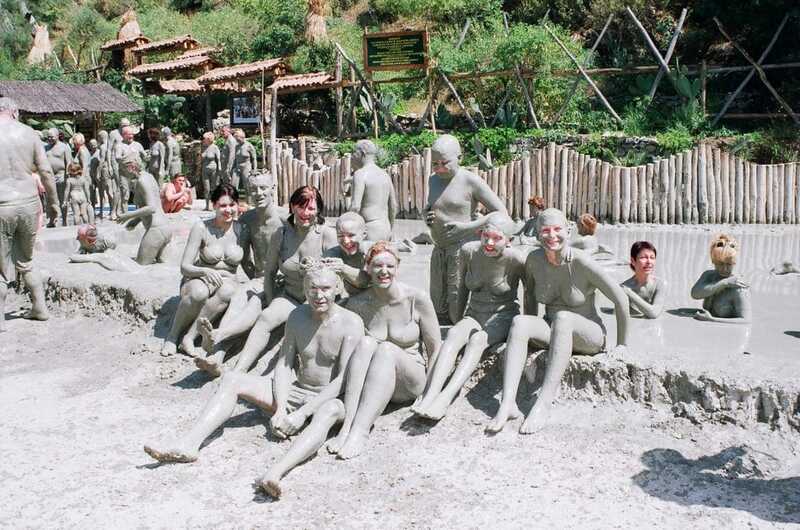 The mud baths in Dalyan. After mooring in a nearby bay by Iztuzu beach, transfer onto a riverboat through tall reeds in the Dalyan Delta to reach the natural springs and mud baths. What child doesn’t like to play with mud! The King Rock Tombs. 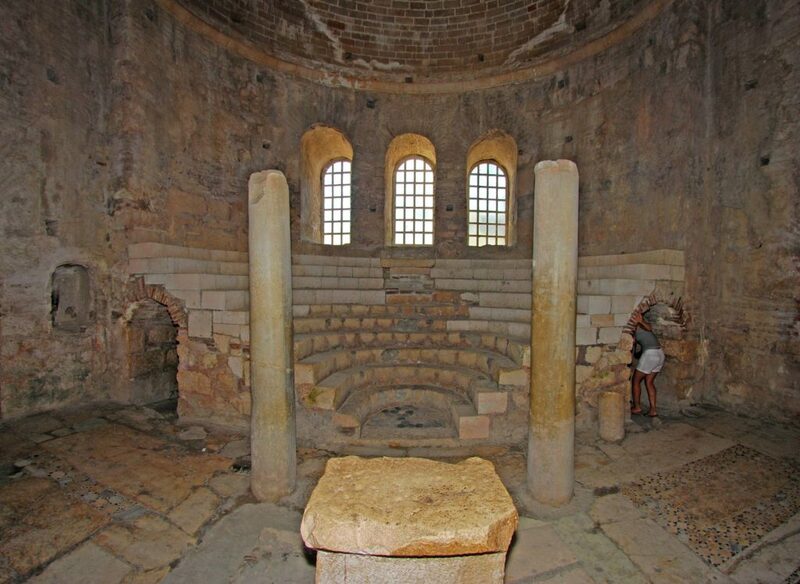 The Lycians left behind some of the most amazing archaeological sites in history. 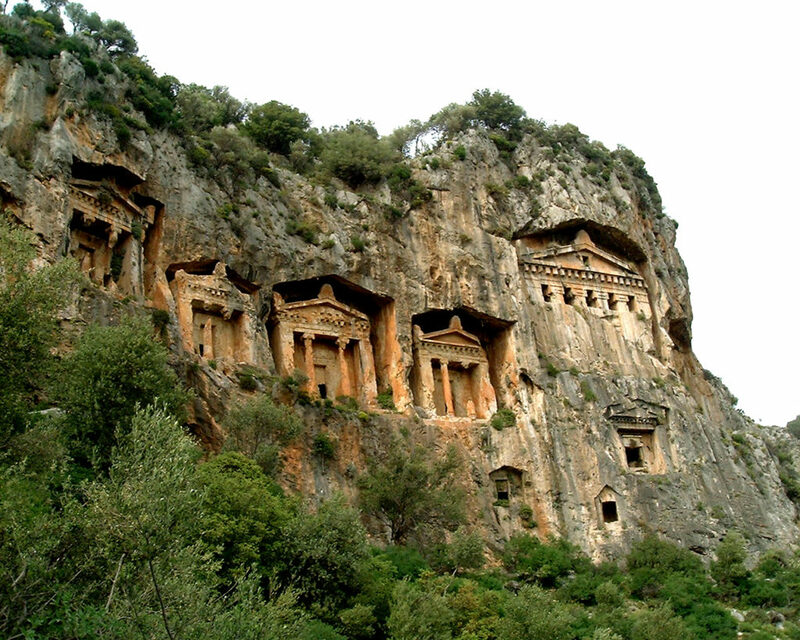 The rock tombs, embedded in the cliffs (which you see during the riverboat ride) is a bit of hike to reach. But once there, a true wonder – while the views from atop are impressive and great for capturing on camera. The island of Gocek. 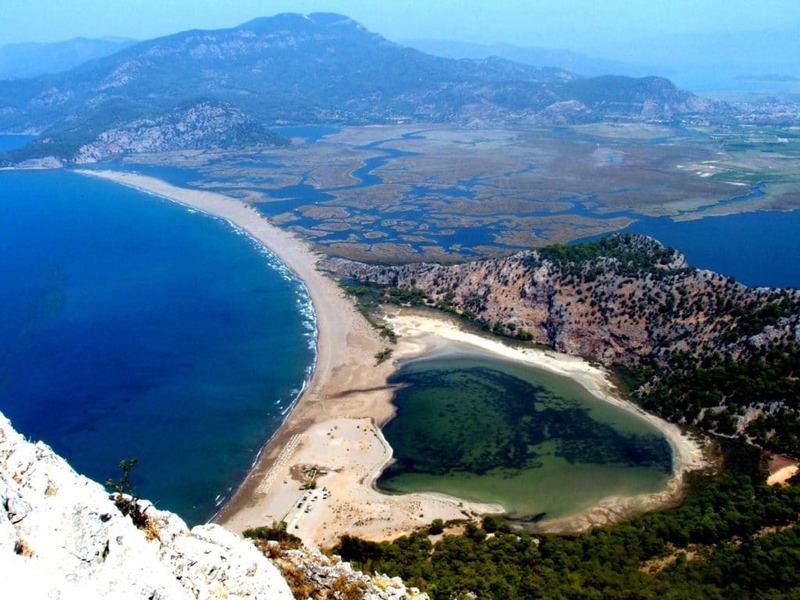 There are many large and small islands in the Gulf of Fethiye. Well preserved nature with beautiful beaches. It’s a wonderful time to have some fun in the water and take in the natural sites on land. It’s a true winner when it comes to playing in the water for kids. This is also a great place to have a Turkish BBQ for lunch on board! Other nearby sites that you can include in your trip is Kekova. 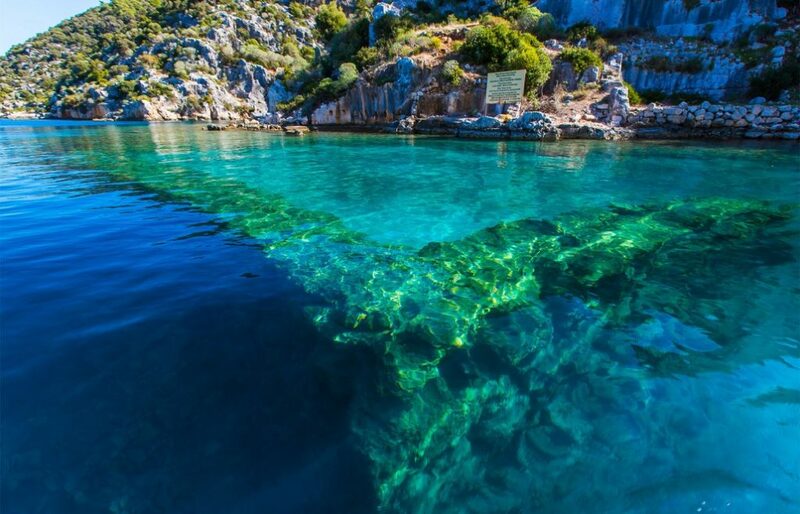 More ancient sites such as the underwater, sunken city of Simena where you will find Lycian tombs and ruins in the water from the Lycian period. Very cool and fantastic material for kids to share in school, about their holidays. Also in the same region in Ucagiz Bay is Kalekoy. An ancient castle with incredible views looking out to the bay. Another good spot for more photos and video. Further east into the Mediterranean, your travels can lead you to a place just right for kids! What child wouldn’t be interested in seeing where Santa came from. Demre is a small town, somewhat under-developed, but offers an attraction that may bode quite interesting for kids. The Church of St. Nicholas. There you will find archaeological ruins of tombs, pottery, preserved frescos on the ceilings, and a statue of St. Nick himself. So there you have it. 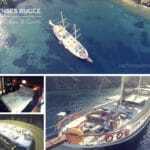 A few awesome places to visit and things to do when you embark on a family private gulet charter in the Eastern Mediterranean of Turkey. There is actually plenty more to see and do. 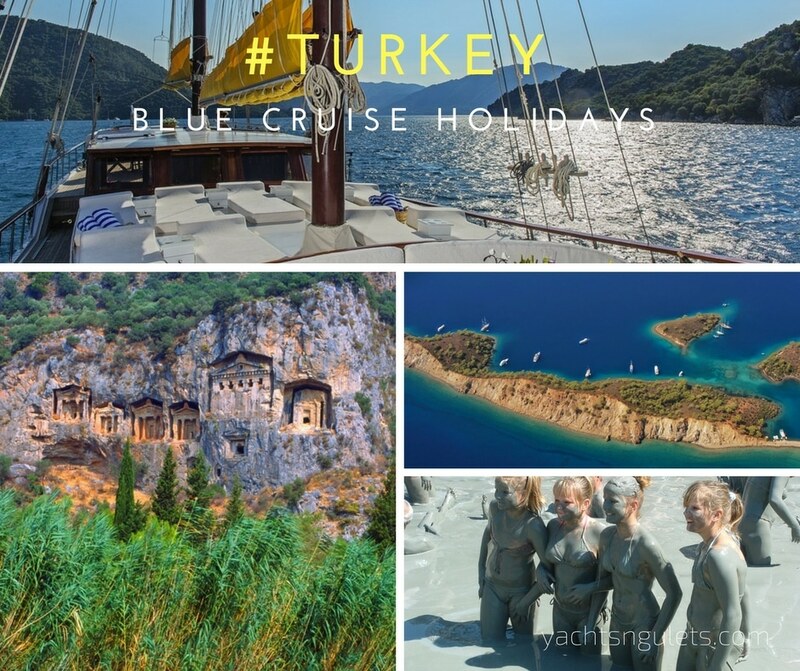 Why not discuss your holiday planning with your agent and find out which places may best suit your family gulet charter holidays!